So, you decided to shell out the bucks for a personal trainer. Maybe you are new to exercise and have been sedentary for a while, or you’re coming off of an injury, or your doc told you its time to lower your cholesterol by exercising. Perhaps it’s to break through a plateau you can’t beat on your own, or you simply want someone to hold you accountable. Whatever the reason for hiring the trainer, you want to make sure you are getting what you’re paying for: results. The wrong trainer can not only be costly in terms of time and money lost but it can even be bad for your health and cause injury—even death. Did you know that in the State of California, anyone can call themselves a personal trainer? That’s right. Your hairdresser needs a license. Your accountant needs to pass an exam to practice, but a trainer who has the potential to make you sore, injured or worse needs no license, no degree, and no certification to practice. Nevertheless, you should look for one who is Certified! Yeah, but he/she is HOT and obviously knows how to achieve a good body, just look at him! No. This isn’t proof that he/she knows how to work YOU out appropriately. In fact, it may not even be proof that they know how to work themselves out appropriately. They may have muscle imbalances your untrained eye didn’t detect that could make them a walking time bomb for an injury. They may know how to achieve their particular look, but it may take them living a lifestyle you couldn’t sustain in order to do so. Perhaps they know how to work themselves out by pushing really hard with heavy weights, but they have no idea how to safely start out someone who is deconditioned – and that could be very dangerous to your health! They may not know proper form and body mechanics or how to work around your specific injuries. So while they obviously should look the part to some degree….HELLO, they spend their day in the gym, so they should look like they actually break a sweat from time to time when they’re there. The physique of your trainer shouldn’t be the litmus test of their knowledge or ability as a trainer. Even though I spent plenty of time in the weigh room and read quite a few books and articles about fitness and diet over years, there were some skills I needed to learn. Studies for my Certification lasted about 10 months and taught me things like important signs and symptoms of cardiovascular disease and at what point I need to work with a client’s physician when designing an appropriate program specifically for them. I learned more anatomy and kinesiology than I ever thought I would have a use for, so that I could communicate effectively with other healthcare professionals when designing programs for my clients. I was taught how to work around most common injuries to the back, knees, and shoulders on all kinds of equipment and for a wide variety of age groups and abilities. I became educated on how to design safe and effective workouts for people who aren’t built like me and for people who have different goals than me – for older people, frail people, people who want really big muscles, people with specific diseases and how to progress them safely. More importantly, I learned which things to avoid for certain individuals in order to prevent injury or even death. OK, so you get it – they should be Certified..but by whom? They should be certified by a third party accredited reputable agency like DETC or NCCA. Some of these Certification Agencies include ACE, NASM, ACSM, and AFAA. These organizations have third party proctored exams and a long history and good reputation in the fitness industry. I’m not concerned with whether the trainer took a year or a weekend to pass their exam or whether they did it online or in a classroom or a 3 day seminar. I’ve seen debates about this on the ‘net and I don’t think it matters how long or in what format. I’m just interested in whether they were certified from a reputable agency. A bicep is still a bicep and you work it pretty much the same ways no matter who certifies you. Some will have more of a physical therapy approach, others more focused on safety, and some more scholarly and research-driven approach but the information is generally going to be the same, so just make sure your trainer has the information behind them to give you a safe and effective workout. By the way, you can call these agencies to make sure the trainer really IS certified currently. These certifications must be maintained by the trainer continuing their education and sometimes passing exams every year or two to be sure they are working with the most current up to date information and industry standards. The trainer should also have current CPR and First Aid Certification. 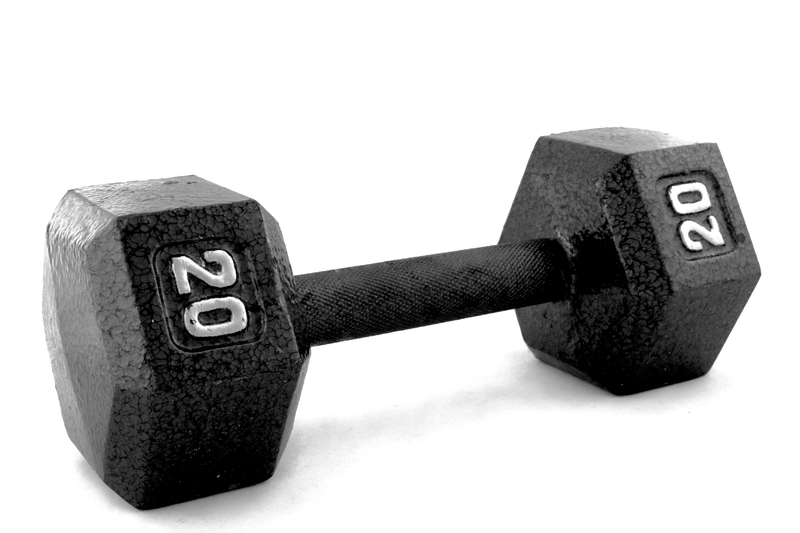 The next Sign Your Personal Trainer Might Be a Dumbbell is Coming Soon! Previous postFAQ – Diet Without Exercise? I just read through your entire 4-part series and you did a great job of describing all the warning signs of a bad personal trainer. The type that give the entire industry a bad name! I graduated with a bachelor’s in exercise and have acquired both ACSM and NASM certifications over the past year. When I train my clients at their respective fitness facilities, I’m always amazed by the misinformation that’s being thrown around by uneducated “trainers” and by gym enthusiasts posing as trainers. I’m almost inclined to print out copies of your article and post them on the bulletin boards of the gyms I train at, lol! Keep up the good work, I’ve already referred a few of my clients to your blog and will continue to do so!